Daily life in Orakzai Agency has long been disturbed by the threat of terrorism and the wide-spread effects of extremist ideology. These factors, coupled with traditionally conservative views towards formal education, leave little options for schooling for the local children. Pairing education with technology, Faheem Orakzai’s innovative idea was to create a school which will impart meaningful, easy-to-comprehend education that is sustainable as well. 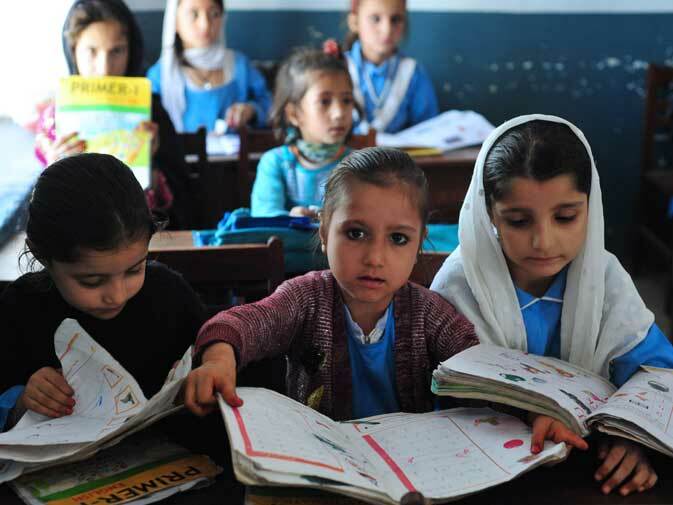 Orakzai developed a distance- learning method which could be employed in the school, understanding that teaching methods need to include the component of visualization to make learning easier and reduce the cognitive load on young children’s minds. Having gotten hold of a single, roofless room, Orakzai’s next step was to rebuild the roof with the help of his friends. He also hired a female teacher who was nominally educated. The main role of this teacher was to play the interactive curriculum on a projector, and answer any questions the students may have. The results were phenomenal. Not only were students learning fast; they were also adapting extremely well to the technology-driven approach. The students ended up completing the year-long course in only four months! The main hurdle faced by such projects is of sustainability. To ensure that teachers remain on their job, Orakzai has devised an interesting incentive. He offers teachers the ownership of the program-provided laptop if they continue working for two years straight. The school has reduced the fee for female students by half to encourage families to educate their daughters as well as their sons. The One-Room School project has found traction within the local society and is currently expanding. This project illustrates how simple and innovative solutions which combine technology and pedagogy can be used to overcome educational challenges which have plagued the country’s rural areas for decades. As one of the core missions of Information Technology University is to train bright minds to solve Pakistan’s problems, ITU’s department ITU Trainings organized a week-long Designing Interactive Learning Applications Workshop which participants were encouraged to come up with such ideas. The workshop proved to be a successful platform for innovators, pedagogues and technologists to engage in meaningful collaborations. ITU hopes that such ventures and training paltforms will be instrumental in encouraging people to take initiative like Faheem Orakzai and become a part of the solution. Share the post "Innovative Technologies in Education: One Room School in Orakzai Agency"